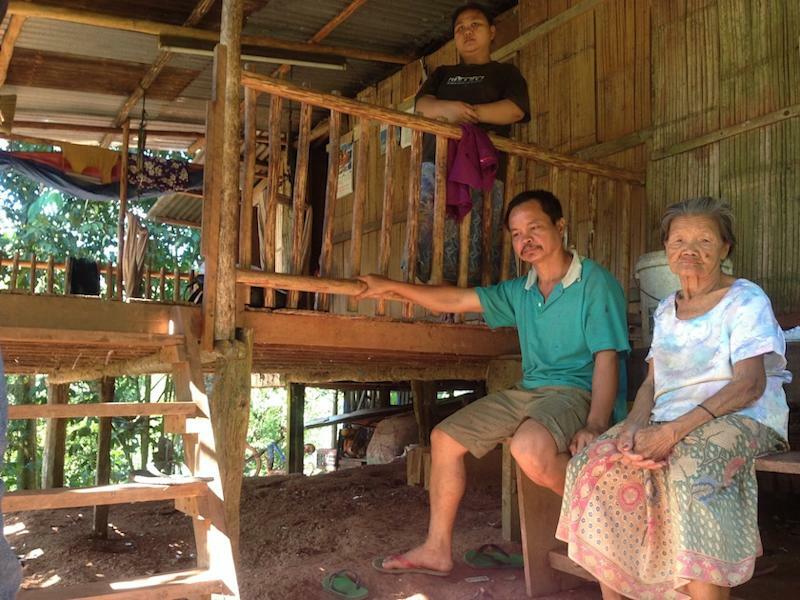 PAPAR, Feb 8 — Sitting on the porch of his wooden stilt house, Sabahan rubber tapper Jilius Yapoo’s eyes welled up with tears when he recalled his shock earlier this week when he saw his 16-year-old daughter in a tudung (Muslim headscarf) for the first time. The staunch Christian dusun said he had gone to his daughter’s hostel to take her home for the weekend when the teenager emerged garbed in the tudung, looking upset. “She was wearing the tudung and showed it to me. I teared up and she looked at me and cried. “She told me she had converted into Islam and could not back out now. I was absolutely speechless,” said Jilius, choking back tears. The father of eight from the Kaiduan village in Kawang lodged a police report on Wednesday after being told by his relative that his daughter was seen in the Muslim headscarf at her school SMK Kinarut. He said he had earlier tried to take the matter to the school’s Parents Teachers Association meeting but was allegedly rebuffed and told to calm down. Jilius said he had also tried to see his daughter the day of the meeting, but was not able to. “It was only two days later that I went to pick her up from school to take her home for the weekend when I got to see her, but she said she would not be coming home this week,” the distraught father lamented to Malay Mail Online when met at his home yesterday. “She is only 16, underaged, and should not need to make a decision like this. Even if she had willingly declared the words (shahadah, the Islamic declaration of belief Allah and Muhammad), and wanted to convert, she and the school should have informed me,” said Jilius. Malay Mail Online had on Thursday reported that authorities are investigating the alleged “Islamisation” of a Christian student in SMK Kinarut near here by the school hostel’s warden. It is believed that the school’s former hostel warden had incited the conversion of the student with the recital of the shahadah, forcing her into embracing Islam despite being “underaged”. According to the student’s mother, Jaina Yassin, her daughter had a lot of Muslim friends in school but never mentioned anything about changing her faith. “We used to pray as a family with our pastor, who came to the house sometimes. When we heard she was wearing a headscarf and had converted, our hearts just sank. “We have three other children studying in the same school and I fear this might happen to them as well,” she said, adding that the church pastor had suggested they consider transferring her out of the school. The family, with Jilius as the sole breadwinner, earns a small income of up to RM350 a month. The money is used to support the ten people living in their home, which is in the rural West coast of Sabah. The village consists mostly of subsistence farmers and there is no telephone reception or television available, although there is electricity and running water. “I sent her to school for her to learn and get an education. Not to be converted into another religion. “As long as she is underaged and under my care, she cannot make this decision. When she reaches the age of consent, then it is up to her,” said Jilius. Village safety and security committee chairman Michael Frederick said it was unusual for the school to allow a religious conversion without asking for the student’s parent’s permission. “Usually they notify parents just to take their students out from school and a letter needs to be produced and signed by parents and acknowledged by the committee. “We are not against freedom to choose religion but I hope the authorities will look into this and ensure it was carried out properly in the future, without ill motives from the school, and with parents consent. “We cannot have students going to school one religion and coming out another,” said Michael. Sabah police have said that the case has been referred to the state religious authorities for further action. State Education Department director Datuk Jame Alip when contacted said that the matter is now in the hands of the police. He declined further comment. Christian groups in Sabah have recently cried foul to alleged furtive attempts to convert Bumiputera followers of the faith to Islam. In January 2014, a group of indigenous Sabahan villagers from the remote Pitas district were reportedly deceived into embracing Islam for RM100 by a Muslim welfare group. Sabah Council of Churches as well as the Roman Catholic Church of Sabah had also complained officially to the Education Ministry last year of a covert ploy to convert under-aged Christian students at the residential Labuan Matriculation College to Islam.